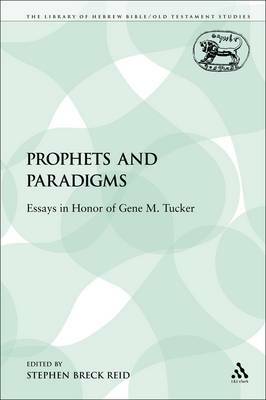 This collection of essays is written by biblical scholars from around the world who are friends and students of the distinguished American biblical scholar Gene M. Tucker, who was President of the Society of Biblical Literature in 1996. His scholarly interest has been wide-ranging, from a passion to understand the biblical prophets to enduring probing of the theology that gave rise to the Hebrew Bible, and this book embodies these wide-ranging interests. Each essay probes the issues of prophetic studies and the theology of the Hebrew Bible. The essays include an examination of the role of W.F. Albright as a prophetic figure in the history of biblical studies and an examination of the superscriptions in the book of the Twelve.